What disappointed you about The Power and the Glory? The narration is deadly. No energy or dynamics, mid-Atlantic accent is stilted and inappropriate for the content. 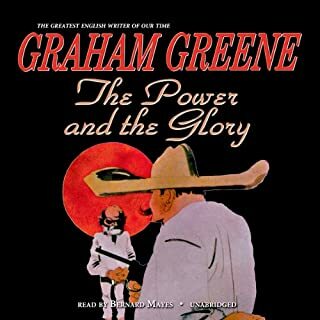 What other book might you compare The Power and the Glory to and why? With a realistic novel dependent on character and dialogue (accented) the narrator needs to be able to bring this to life in a naturalistic style. Since Greene was British, the British accent itself would not be inappropriate, but this narrator's style is stiff, cold and monotone. I was very disappointed and dismayed that Audible would offer such an inferior production of a classic set in America. I could not finish it.